Tunis sports city is yet another important development that promises to bring world class facilities to Tunisia’s capital. 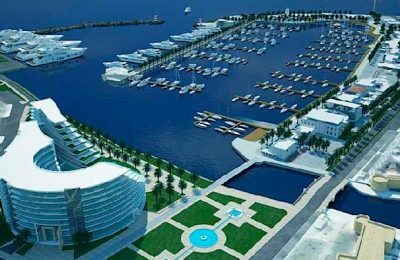 Tunis sports city like its sibling development in Dubai is a concept that should prove popular with locals and foreign investors alike. 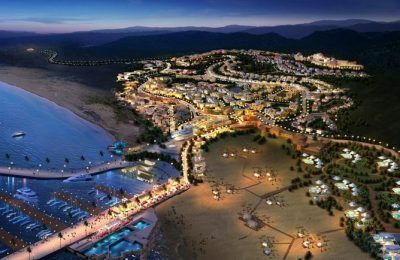 Located to the North of the lac of Tunis (the Berges du lac side of the lake) the development promises a themed community based on providing a green healthy and sports filled lifestyle which has proved popular in the Dubai project. Construction is ongoing, with the first customers moving in by the middle of 2011, also the sale office is now so anytime now they will start to release properties on the Ceder part of the development which is the golf course and apartments seen to the left of the image above. The Cedar development will have 11 High-rise Apartment Buildings, approximately 50 Standard Villas and Grand Villas, as well as 13 blocks of Low-rise Townhouses/Apartments which will be called the village. Once fully completed the development will have. With finance in place and the sales office now open this promises to be the first of the Tunis projects to get going for real. In addition the experience and business ethos of the developer is of a realistic nature and has considered the local as well as the foreign market. What this means is that on the grapevine I have heard that pricing will not be stratospheric but balanced to the local market and that the project may even offer better pricing that then local alternatives at present (it is in a very expensive area excellently located and their has been issues of speculation pushing prices too high) if this is true then I am sure that the project will be an outstanding success as demand is very strong for both residential and commercial customers.